Instead of the rather slow numbered build releases, AOKP will be automatically built and distributed from the team's servers every four days. These nightly (quadra-nightly?) builds will be for those who want to live on the bleeding edge of the custom ROM. Milestone builds, the more infrequent and reliable builds the team releases at much greater intervals, will still be announced and distributed with some fanfare. Team Kang intends to release milestone builds monthly after the first 4.2 milestone. 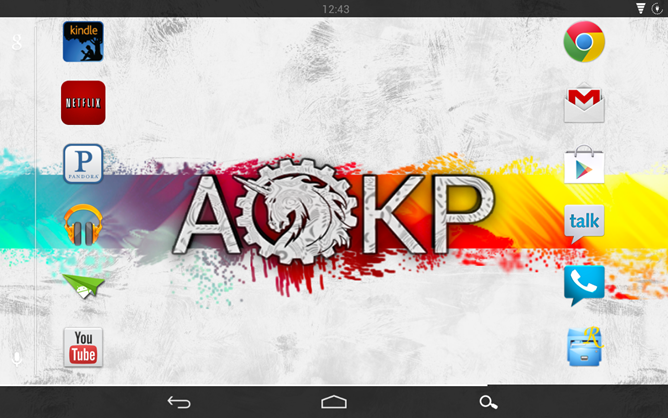 To help facilitate this change, AOKP developer Sethyx has created AOKPush, an app dedicated to downloading the latest releases directly to your device. (AOKPush is not to be confused with Kangerator, a similar but unofficial app.) Users can choose the Milestone feed, nightly feed, or the test build feed. In addition, you can install the app on non-supported devices, and it will alert you when (and if) your phone or tablet gets official support for AOKP. The app is $1.31, with all proceeds going to support server and development costs. aokp.co - Milestones, Nightlies, and Millions!